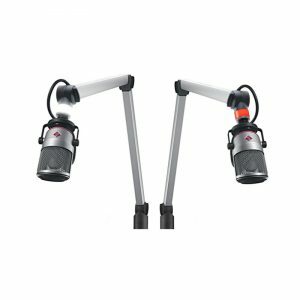 The iXm Recording Microphone is a universal recording device which is especially developed for journalists. 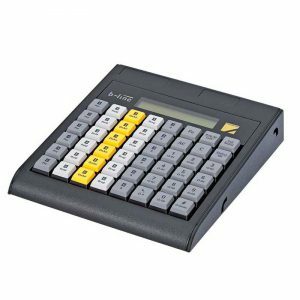 Reduced to efficiency, it is equipped with an easy-to-use instrument panel. What you see is a recording microphone. The iXm’s onboard LEA DSP Engine gives you perfect audio levels in every recording. Interchangeable microphone heads provide for flexibility in the matter of pickup pattern. Fantastic Sound. Thanks to our LEA Engine. 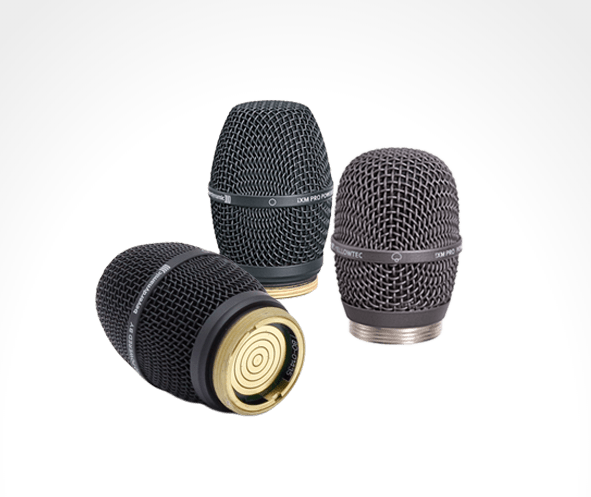 We designed iXm to become the finest reporter microphone ever. One of the most challenging requirements was a perfect auto leveling. Our engineers managed to develop an excitingly innovative procedure: the LEA engine. Whether whisper or cry you will always enjoy a perfect level. LEA lets you do amazing recordings even under stressful conditions. No AGC and no artefacts. Try it out, you will be amazed. Our ingenious onboard DSP engine offers perfect audio levels every time, no matter the environment. LEA is levelling your interviews while recording. In comparison to standard AGCs and limiters the LEA Engine knows to excel by not creating artifacts or common pumping noises. Even with pauses in speech or loud ambient noise the LEA Engine works perfectly and levels smoothly, just like a Little Engineer Aboard your mic. The LEA Engine is a unique technology. 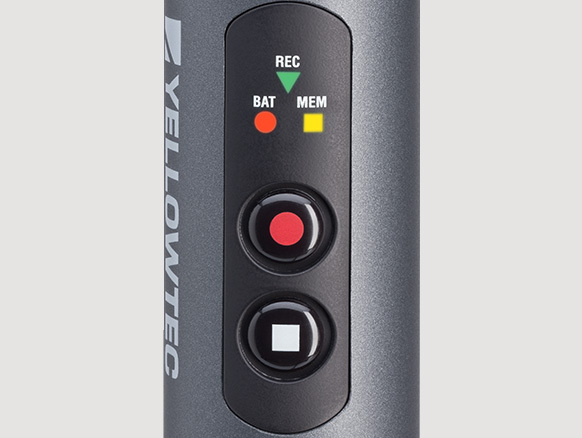 Capture the best interview ever with perfect audio levels at the push of a button. With iXm, it’s never been easier to record pristine audio on location. Two buttons and three light-up icons tell you everything, maxing iXm the most intuitive recorder you’ve ever used. Hello, easy dashboard. Goodbye, complex display. All the feedback. None of the noise. Silent buttons. Unbeatable stamina. Thanks to intelligent power management. 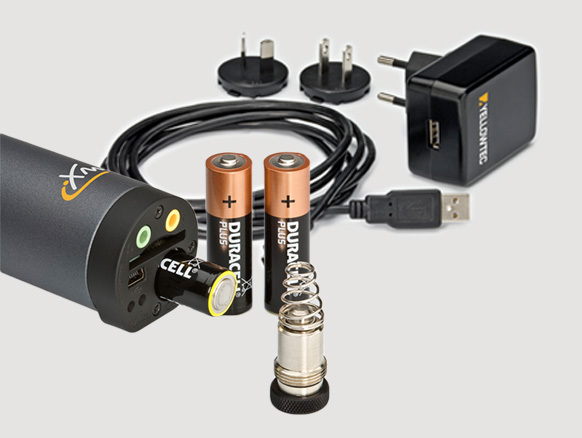 Our unique dual-power supply offers an unbelievable total operation time of up to 16 hours. And that’s not all: iXm comes with a built-in, rechargeable lithium-ion battery and a battery compartment for three standard AA cells. Plus, our intelligent power management system will automatically load-balance power sources, so you’ll never run out of juice. iXm’s dashboard warns you well in advance so you can keep the AA batteries handy for another eight hours of pro action. Never miss a word. Playback, in situ. 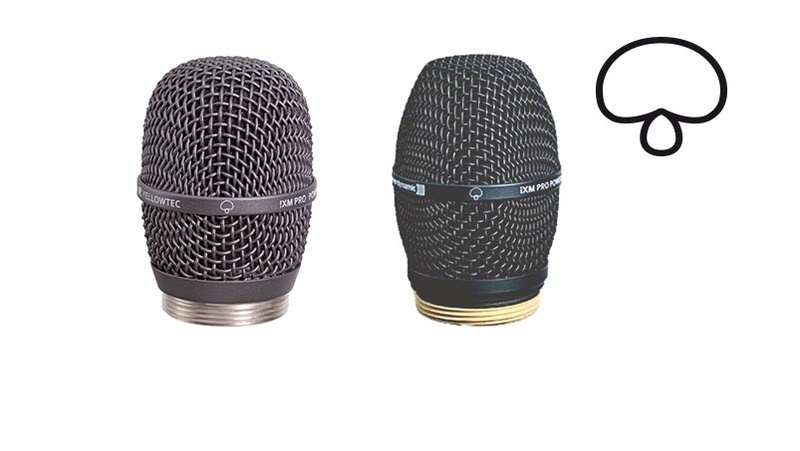 Our Twist-Off-Twist-On (TOTO) exchangeable mic heads help you create your ideal recording environment. Whether you require a cardioid, supercardioid or omni-directional pickup pattern, you can easily shift gears on the spot. TOTO’s auto-sensing detects which type of mic head you’re using and automatically adapts the DSP to the right parameters. No need for any manual settings! 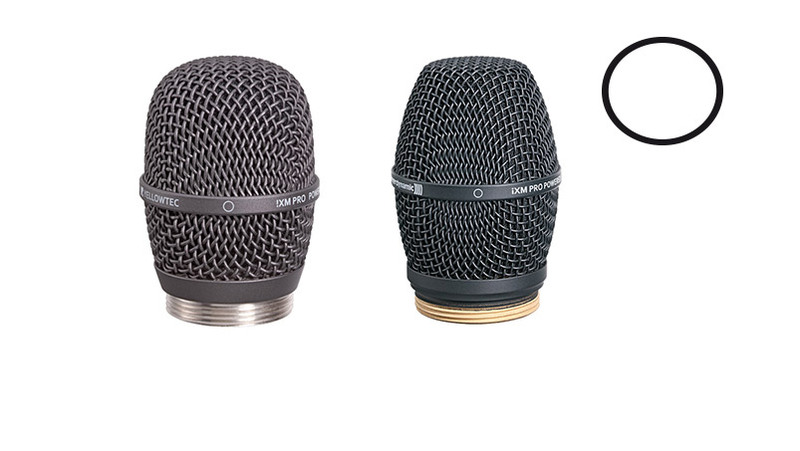 Mic heads with supercardioid recording pattern are designed for recordings in noisy environments. As their directivity is even higher than the cardioid’s, it optimally filters extremely loud background noise. 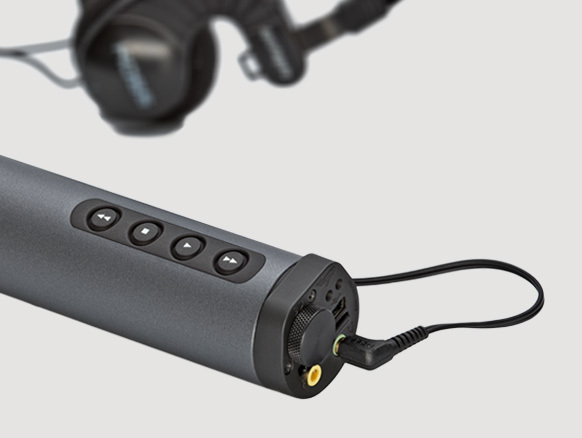 Thus, it ensures crystal clear recordings through excellent and natural frequency response. The supercardioid pickup pattern suits best for interviews in loud surroundings like major events, e.g. sporting events, motor sport races or concerts. 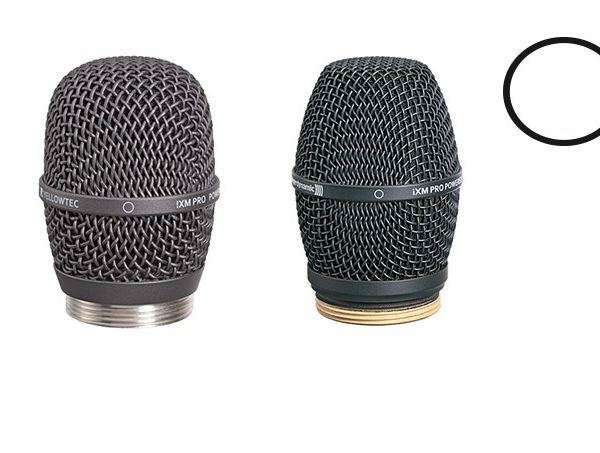 As dynamic microphone capsules, the iXm PRO Line Mic Heads are characterized by their sound converter components’ ruggedness, especially at high sound pressure levels. Thus, their recording patterns are less sensitive in higher frequency ranges compared to electret microphone heads. The dynamic head’s sluggish membrane leads to different sounding recording results. 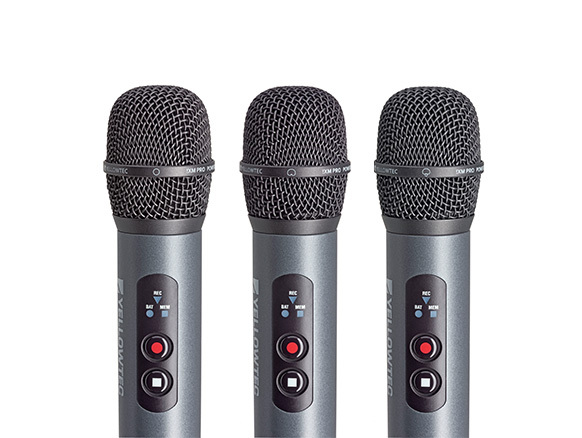 Due to their dynamic mic, they are less sensible for wind noise or structure born noise and offer an optimized frequency response for excellent speech capture. 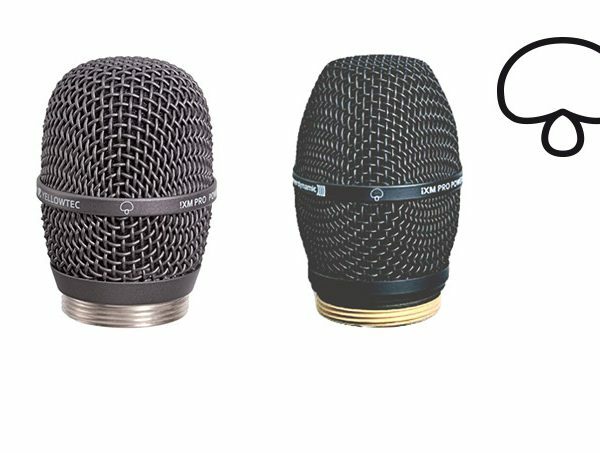 As electret condenser microphone heads, the iXm PREMIUM Line Mic Heads are created to capture smallest sound pressure levels. Their recording pattern is more sensitive in higher frequency ranges which results in a higher resolved pattern in the end zone compared to a dynamic microphone head. They offer superb natural frequency response with shock-mount isolation which protects your recording from handheld noise. 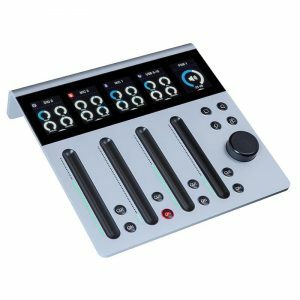 Speed-up your audio production. With iXm Uplink. iXm Uplink is an innovative App for your iOS or Android device. It faciliates the uplink of data from the iXm Recording Microphone and your mobile device. Providing sophisticated editing, archiving and meta tag features, the iXm Uplink App is of particular interest for reporters, as it allows them to email recordings directly to their studio after tagging the files. 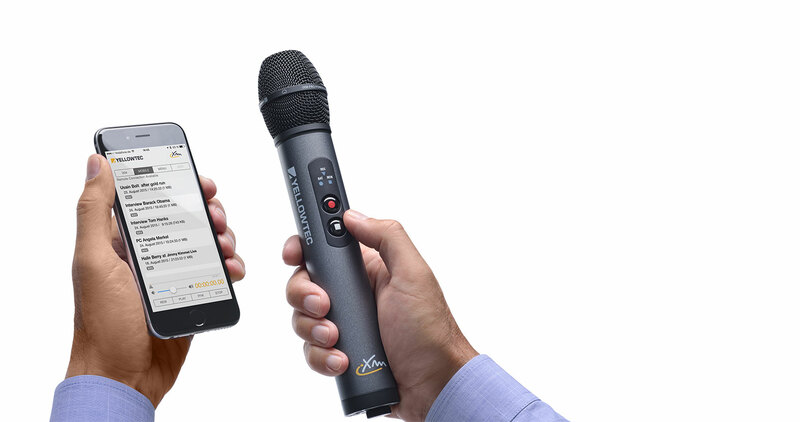 Use a Toshiba Flash Air WiFi SD Card (recommended) to connect the iXm Recording Microphone with your tablet PC/smartphone via WiFi. Now soundfiles can be downloaded from your iXm, edited and transferred via GSM or WiFi link. You can also distribute *.WAV, *.BWF and MP2 (MPEG1 Layer2) files via e-mail, Dropbox and FTP. Intellimix will simplify your daily work and stimulate your creativity. Get in touch with uncompromising usability. 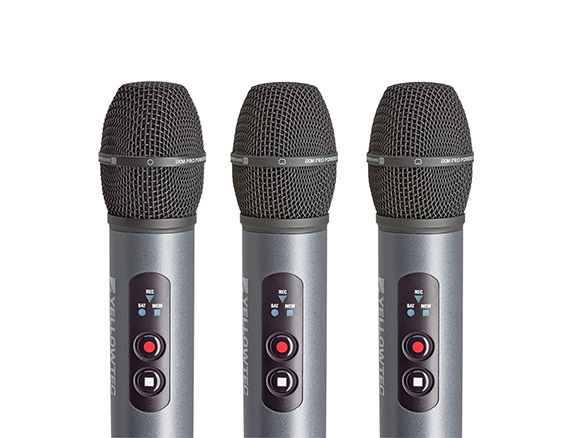 As part of the m!ka System, m!ka Mic Arms are made for mounting your individual microphone.